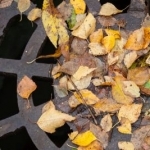 The City of LaSalle has given the thumbs up to start a sewer separation project. The project will separate the combined sewage pipe from Hegeler Park to Sterling Street and will allow the storm water to discharge exclusively to the Little Vermillion River. The storm water was combined with city sewage which overwhelmed the system after a storm and allowed the sewage to be released into the river. Because of the new pipes being constructed, City Engineer Brian Brown said a small area of LaSalle will see road closures. The project will start in the next two months and run through September.